Aloe vera, a naturally growing miracle plant known the world over that has been used in its original form for centuries as a natural remedy for various minor ailments. This succulent plant with fleshy leaves from the family liliaceae grows in warm climates. The species Aloe barbadensis has long been used in medicine and cosmetics. Aloe vera juice contains substances important for the human body. The human body needs 22 amino acids, and aloe vera contains 20 of them. Aloe vera contains many minerals, such as manganese, zinc, calcium, sodium and iron, and as concerns vitamins, the most abundant are vitamins C, E, beta carotene (vitamin A precursor) and B12, which is only very rarely present in plants. Plant steroids and salicylates have anti-inflammatory effects, saponins have antimicrobial and antiviral effects, and polysaccharides strengthen the immune system. 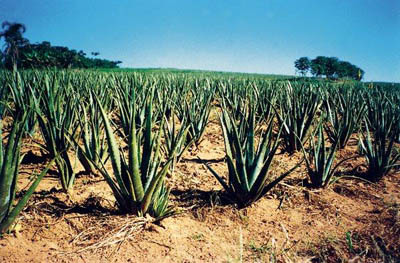 The substance lignin enables aloe vera to penetrate the skin. Therapeutic and cosmetic products from aloe vera juice are used for skin disorders, allergies, eczema, rash, itching, local irritation, fungal infections, minor wounds, burns, scalds, frostbites, and so on. Aloe vera also widens blood capillaries, increases blood supply, and thus accelerates the healing and regeneration process, reduces pain and improves post-injury conditions. 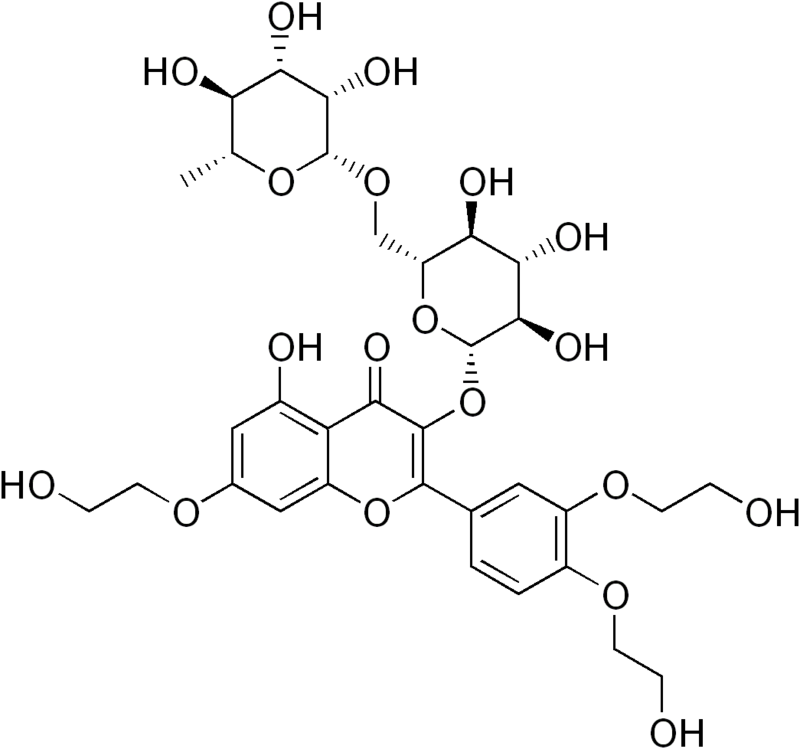 Troxerutin is a mixture containing more than 95% O-hydroxyethylated derivatives of rutin. (European Pharmacopoeia). This rutin is modified in order to enhance the effects on the human body; the active ingredient penetrates more easily through the cellular membranes. Rutin is a yellow natural substance contained in plants worldwide. For industrial purposes, it is obtained by extraction and isolation from the plant Dimorphandra mollis, which grows most abundantly in the rainforests of Brazil. Rutin is classified in the group of rutosides, natural flavonoids, which are generally chemical compounds belonging to the large group of plant glycosides. For therapeutic purposes, they are defined as important antioxidants with many beneficial effects on the human body. The most important effects of rutosides include strengthening of the cardiovascular system, support of blood circulation, and improvement of blood vessel flexibility. They support the regeneration of the body in various post-injury conditions, including swelling, bumps, sprains, hyperextension of muscles and tendons, bedsores, contusions, bruises, scars, and other similar problems. An important effect caused by increased blood supply to the tissues is also beneficial for the support of minor injuries, scratches, scalds, burns, sunburn and frostbite. Moreover rutosides have beneficial effects on various skin problems.